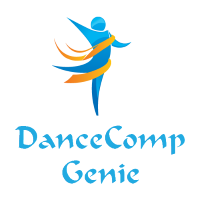 The Association of Dance Competitions & Conventions (The ADCC) is a nonprofit 501(c)(6) national association serving the dance competition industry. The Association has 35 current dance competition owner members and is growing quickly with an operating budget of $325,000. The 11-member Board of Directors is stable, well-functioning and excited to work with the new ED to move the association to the next level. The ADCC operates several programs including: Annual Meeting (planned for September 24-26, 2019 in Charleston, SC), Studio of Excellence Awards, College Dance Scholarships, Industry and Lifetime Achievement Awards, Business Partnerships, and a Group Buying discount program. Each year, The ADCC also publishes three summer issues of The Competitive Advantage magazine. Currently in its 5th year, The ADCC is replacing its founding director with a part-time Executive Director who will work remotely from their own home office as an independent contractor. The ED is supported by a part-time contracted administrative/marketing assistant who has worked with the organization for the past 4 years and is familiar with all systems and processes presently used. The ADCC is Florida-based and would like to remain a Florida nonprofit corporation but the Board is open to moving it to another state if necessary. Provide home office, technology, storage, backup systems, phone, software programs, and internet. Manage all current and new Membership inquiries, information requests, materials, support, communications, and renewals in a timely and professional manner. Create and manage all print and digital communications including ADCC website, eblasts, monthly ADCC Insider newsletter, semi-annual general newsletter, Annual Meeting Sponsorship Deck and website, Annual Meeting & Gala programs, and three issues of The Competitive Advantage. Develop and manage general operations including: insurance renewals, subscriptions, contracts, other binding agreements with members, partners and vendors. Attend monthly Board Meetings via telephone. Attend Committee Meetings, as requested. Prepare and send all agendas, reports, minutes and materials for Board meetings. Take minutes at each board meeting and disseminate after each meeting. Secure semi-annual board retreat site/hotel and make catering arrangements. Ensure the association operates legally and compliantly. Manage all accounts payable and receivable using ADCC online QuickBooks account, i.e., invoicing, make bank deposits, write checks, reconcile monthly bank statement, oversee reports, post entries, and maintain the general ledger. Produce and submit monthly and quarterly financial reporting to the Board. Work with ADCC CPA to prepare the annual 990 tax return. Ensure that all annual Florida and IRS legal filings are completed. Develop and manage the annual budget and the program budgets in cooperation with the Treasurer and Executive Committee. Assist with the Scholarship Awards Process – Write and edit application, publicize program, manage communication, provide committee with vetted applications and rating criteria chart, and manage committee selection process. Manage Industry Awards Process – award entries, collect materials for awards ceremony and program. Plan Annual Meeting by supporting Annual Meeting Committee. Manage contracting, billing/payments for all contractors, awardees, performers, presenters and others involved in any programs. Annually evaluate all programs and offer suggestions for improvement. 4-year college degree or master’s degree. Preference given to those candidates with association management experience in a member-driven organization. Experience with sponsorship sales and fulfillment. Experience working with dancers or dance organizations and a passion for dance and/or the arts. Experience working with Mailchimp, Wild Apricot, Dropbox, Adobe Acrobat, QuickBooks Online, Excel, and Word software programs. Customer service training and experience. Ability to work as part of a virtual team. Ability to navigate a Board and Membership composed of strong personalities. Follow-through, organization, and a strong commitment to excellence. Sense of humor, flexibility and an internal motivation to do great work and be part of a progressive organization. Please submit your resume, a cover letter detailing how you meet our qualifications and why you wish to be considered for this position, a headshot, and any other relevant materials you would like to include to tammy@theadcc.org by February 28, 2019. More information about The ADCC can be found on our website: theadcc.org.